Learn how to do Seo Optimization Basics? Have you heard about SEO? If you are new to this concept, we will discuss every basic point about how to do seo optimization for website?. How it works? Why companies do SEO for their website? Why it is important now-a-days? And other important elements, at the end of this post you’ll aware about the basics of SEO, and how it works. Keep reading till end. What is the need of Search Engine Optimization (SEO)? 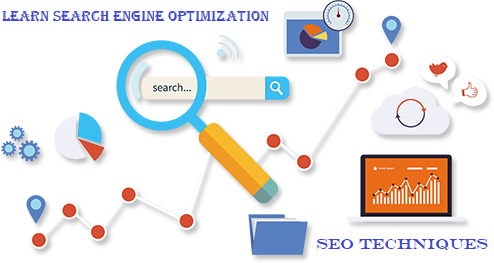 Search Engine optimizations is set of techniques of optimizing website to rank better with different search engines like Google, Bing, Yahoo and several others. Google is the most popular search engine, and the majority of webmasters ranks their website for Google because Google itself occupy large percentage of market share on the internet, and now we are used to search engines for everything. In this digital era each one of us want our business to grow online, because it is the cheapest and the best way to reach potential customer globally in just one click. And the percentage of online business is growing day by day, that’s why it becomes difficult to rank on Google. That would be the reason the concept of SEO came into existence, it help website to make search engine friendly and the advance SEO techniques better ranking. We will learn here the importance of SEO. Why Search Engine Optimization required? It will help your website to rank for particular keywords on search engines. Search engine optimization not only help to grow business online but it drives traffic for your website that ultimately converts to potential customer. It increases the visibility in search engines & improve ranking. In this post you will learn detail about search engine terms used, you might have heard about it, what important factors from search engine point of view, how do you optimize your website? How to generate traffic for website? Learn about keyword research and analysis like how to find keywords & its optimization, social media branding, SEO on-page & off-page techniques to rank higher on Goole and much more. This comprehensive SEO guide help you understand. • Why Search engine optimization is mandatory? • How you can optimize your own website? As discussed above, now you are little about Why Search engine is required for website, how it works, below we’ll explore basic techniques of SEO for understanding search engine concept. In the rapidly growing online business, most people looking for seo techniques to maximize their profits. Almost everyone is using search engine in some way other for information that means if your site ranking in top 10 position in Google or any search engine, you can imagine how fast you can grow your business? To out rank other website you need search engine techniques for top ranking in Google. SEO helps to bring traffic, brand visibility, more social exposure that ultimately bring more revenue. Proper seo optimization for your website can bring better return on investment and compared to traditional marketing techniques. Search engines are frequently update their algorithms, to match with their techniques SEO important for your website, else you far behind from your competitor. To sustain in online market, you have to have these seo tools & techniques. If SEO is implemented correctly, it can bring more attention, more visitors means more sale. It help search engine to understand your website, make them easily crawl & indexed in their database. The next step how do you start optimizing your website for search engine. In the following post we’ll discuss why keyword research is important for any business to grow online? How to generate relevant keywords for your business or services you are offering to the customer, on-page optimization factors, building quality links for your website, social media optimization & more. Let’s start with the basic & the most important factor from search engine point of view i.e Keyword research & analysis. Finding the right keywords for business, you won almost half battle. Keyword research and analysis are the basic for any website, and it take lot of time, brain-storming required to find out right potential keywords that suits your business. The question is how you can find out those keywords, generally we are not aware about the keywords or phrases they types in search engine to land to our page, what sort of keywords they used to visit our website. We can take help of various online keyword tools to generate whole loads of keyword, the most popular one Google Ads Keyword Planner tool that is free to use which I personally use for expansion of keywords. Several other tools like keywordtool.io & keywords everywhere etc. Or you can manually type words in search engine box then check for related search on the bottom of the page that will give your some rough ideas about how people are searching information and what keyword they are using to reach our site. But with the help of Keyword planner that gives more accurate keyword ideas with monthly search volumes, other filters like country-wise, broad match, exact match, negative keywords & more. To use Google Ads Keyword planner all you need is Gmail account. Following are the benefits of using Keyword tools. Keywords are the sort of words that end-user searched in search engines, you can generate more number of keywords & Key phrases (combination of one or more keyword). Typed in search engine or Keyword Ads planner that will generate several keyword ideas that people are searching for, then filtered right keywords that best suit your business or services. Once you get those keywords, typed in keywords in search engine that again generate related key-phrases at the bottom. In this way you can have lots of keywords. Keep your prospectus in mind while selecting business keywords. The more you go onto detail, more the chances of success in business. Ask yourself Is the keyword you generated above are relevant to your site. Will they help you to increase web traffic? Will they get you better return on investment? After brain-storming Next step is to find right keywords volume for optimization. You can go for keywords that have some monthly search volume (i.e. how many people are searching for that particular keyword) & low competition. You can avoid those keywords that having no search volume. The most important point here is what sort of keyword you can target that easily ranks on search engine. High search volumes keywords are very difficult to rank, but you can choose long tails keywords that can easily ranks on different search engines, now the next step how you can optimize those keywords in your website. The following topics will discuss keyword optimization with on-page optimization. Again another important element in SEO is on-page optimization, this done by changing little bit on coding part. Now it’s time to merge those keywords in website content. Here we learn in detail about on-page factors like title, meta description, image optimization, header tags, robots file, sitemap, content optimization & more. You can now optimize those keywords in title & meta description, categories those keywords and implemented those in every page of website. Let’s go in detail important on-page elements one by one. The title tag the most important from search engine point of views, it describe your whole business. It appears on the top of browser. You can place important keywords in website title. One important point is every page of a website has unique and catchy title tags. According to the new search engine update title length should be between 50-60 characters. The next important element is meta description is a rich snippet that is displayed on search result. To attract more visitors write a catchy description for every single page. Then character limit should be 150 characters. Stills Heading tags play an important role in seo. It makes your website content more structured and readable to the user. If you have large piece of content, separate the contents with the help of heading. There are six heading tags are available H1 to H6. Important points to ponder is every page has single H1 tag, and multiple other tags like H2, H3 to H6. So place important keywords in H1, then H2 & H3, others tags are of minor use, use them if you have lengthy content i.e. more 2000 words. As you are all aware, content is king, search engine loves fresh content, especially Google. If you want to rank on search engine & optimize more number of keywords, your content length should be more than 2000 words. Lengthier the content you have, more the chances of getting ranks on Google. Content part is the only element, where you can focus more. I would suggest you to write fresh & unique content and optimize keywords in heading tags or within content itself. What important factor you should consider while writing unique content. 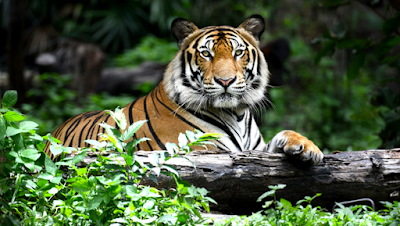 Lengthy content where you can optimize long-tail key phrases. If you are using image in your website, use ALT text to every image. Because search engine doesn’t read images, they read the text that you can input through Alt tag. It’s always better to use important keywords in image Alt tags. Search gives importance in image search. The web url structure should be readable for user as well as search engine. A clean url should be used, which is easily traceable & sharing. Check the following point while creating url. After update on exact match, some webmaster avoid targeted keyword in their domain (the exact keyword which you are targeting) because it may hurt search ranking according to algorithm update. But many people suggest use keywords while selecting domain in some way or other, long-tail keywords are more likely to gain higher ranking in search engines result page. Sitemaps is the easiest way to tell search engine what pages you want to crawl. XML & HTML are two types of sitemaps, earlier is for search engine & later is for user, HTML sitemaps contain important links of your website that is easy for user to navigate through our website. The Internal linking within a website is very important, most people forget. Try to focus on website internal linking (one page of website to other within a website). Use key-phrases as an anchor while making internal links in content itself. Find the broken and inactive links on your site. Large number of broken link may be hurt your website in search. Try to find & fix it. Setup Google Analytics & Google Webmaster (now Search Console) is must of website. These two free analysis tools are the assets for every webmaster. Google Analytics gives you detail analysis about your website traffic & Search Console helps you with suggestion, how you can optimized your website performance. Search Query is the New feature added Google webmasters. Schema is a form of microdata, where you can categories the content which you want to show in search engine result page. Schema creates enhanced rich snippet that display in search result, top search engine like Google & Bing gives priority to schema implemented website. You can implement schema elements directly to your HTML code, it helps in improving ranking. Well structure website design, easily understood by search engine & customer can boot your SEO effort. After Google algorithm update, site architecture can influence your ranking factors. Well build site design include the following points. rapidly as compared to desktop user. Mobile friendly pages help in boost mobile ranking. • Your website site internal pages within in the reach of maximum 5 clicks, if your site is heavy. loading time for mobile is 3 seconds, and in desktop is 5 seconds. Once you are done with the above steps discussed, now it’s time to build quality links for your website. Process of link building is an important step in ranking website. Quality backlinks for website i.e. getting links from high authority website carries lot more weight than free site links. Now the question is how to build quality links? In the following steps we will learn about building links for your website, check out the important off-page activities that boost search engine ranking. There are several off-page optimization techniques, but we mention here important one. Increase your social media presence, social media optimization improve search engine ranking, because it’s ranking signal for search engines. Optimize your social media using Google +, Facebook, Twitter, Pinterest & more. Share your website post as much as much as you can on different social sites. Directory Submission in relevant categories. Blog post – Create blog in Blogger, Wordpress & more. Guest Posting – It is one of the best way to build quality links as well as traffic for your websites. It is effective you’re able to get links from high authority website. We have learned step by step tutorial for seo optimization, discussed different types of Search engine techniques that are important for website to rank well on search engines. Hope you guys enjoy reading. If you like this post, please share it on social sites, your efforts will be appreciated.